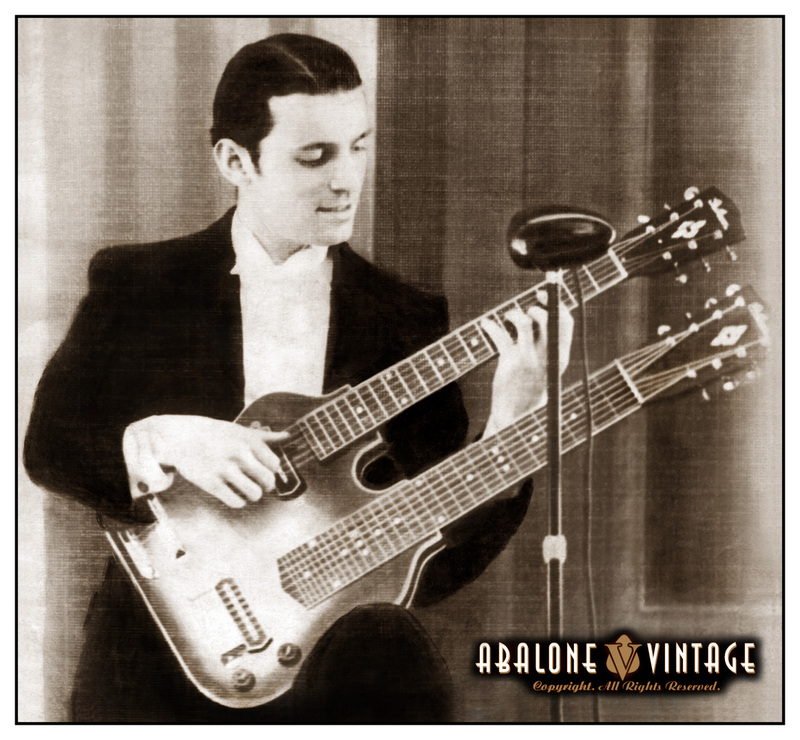 1937 Gibson ESH-150 Double neck guitar. 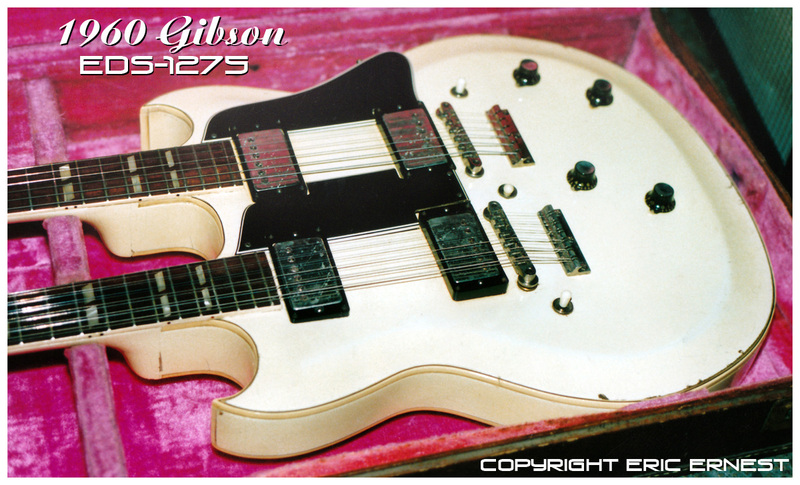 and the first Gibson solid body guitar ever made. This is a group shot of some of the Spruce Tops I have come across or own. 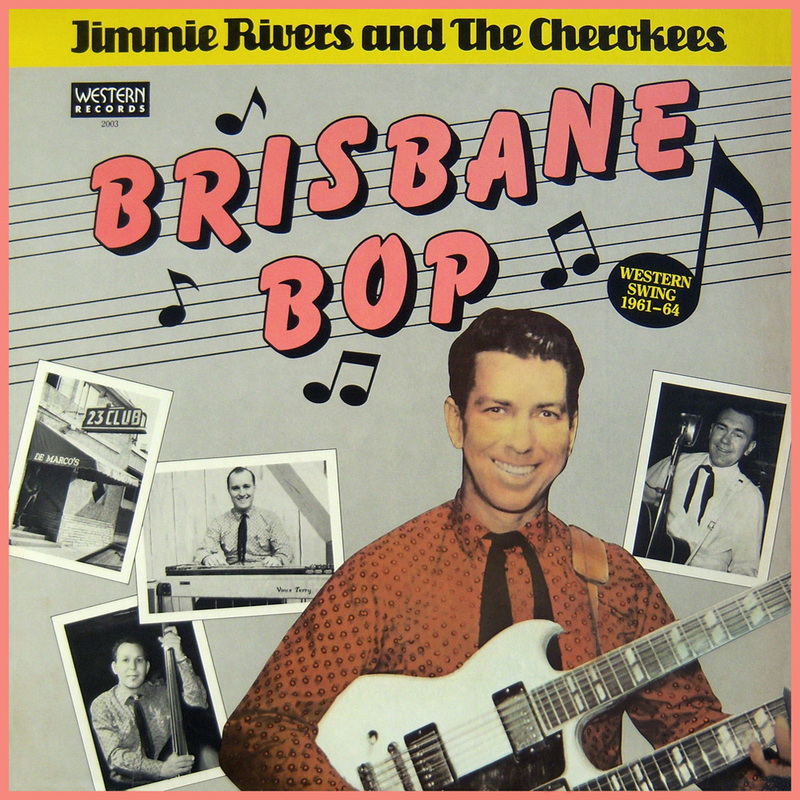 Colors: Sunburst, Cherry Sunburst, Black, White, Cherry, and Natural. 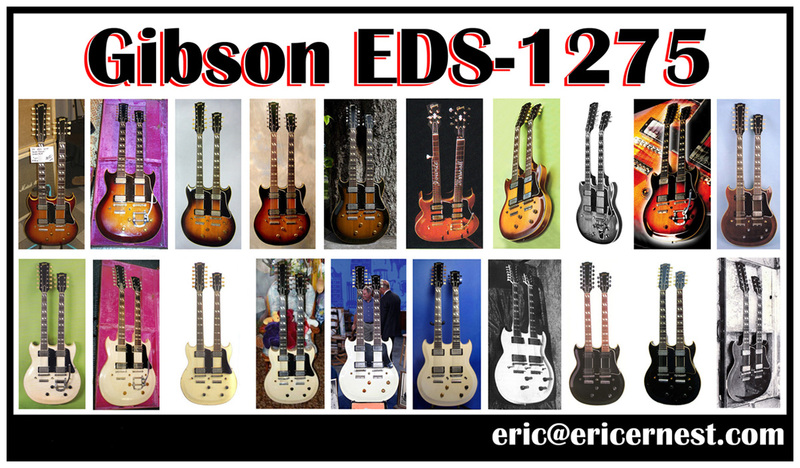 EDS Series I have come across or own. 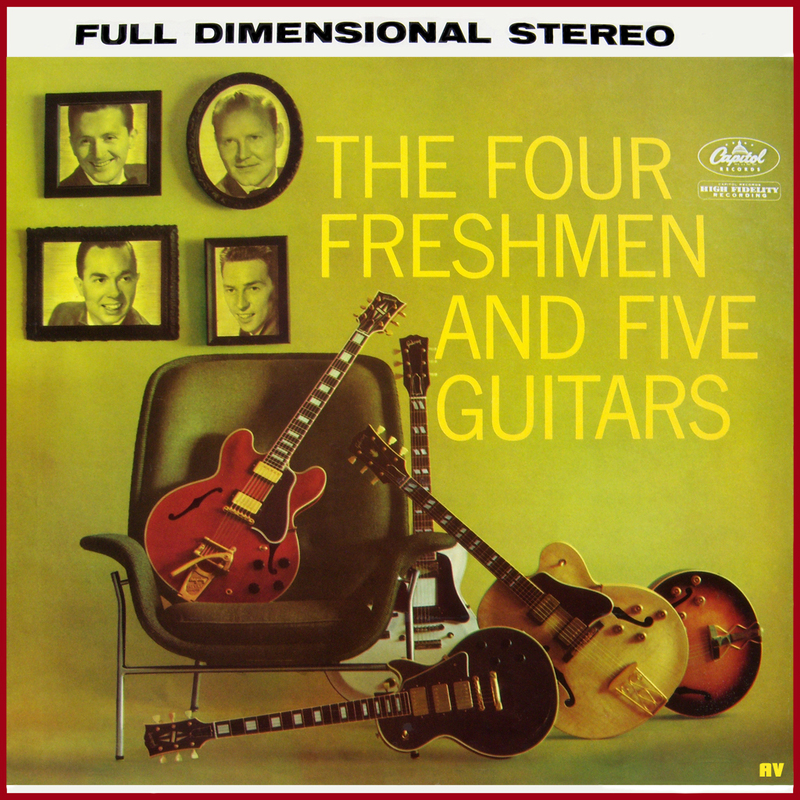 Colors: Sunburst, Cherry Sunburst, Black, White, and Cherry. do not have serial numbers. 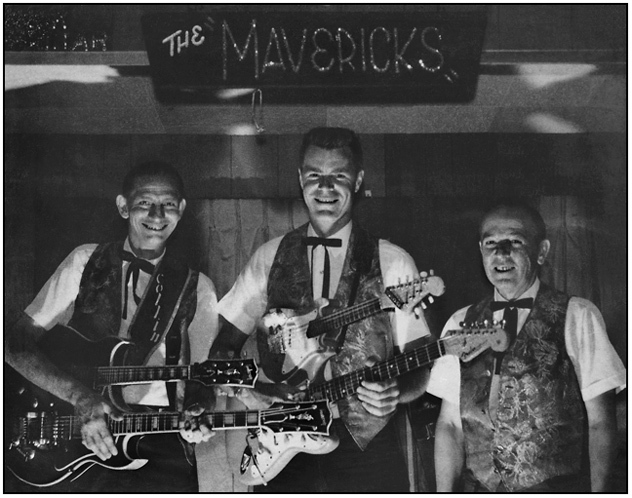 The EMS (Double Mandolin) series has many variants. 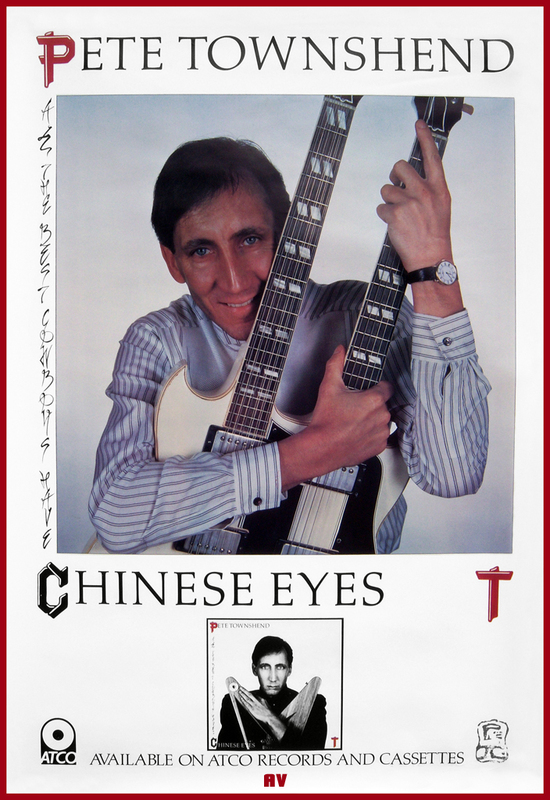 Cosmetic headstock, inlay, tuner, binding and fingerboard variants. 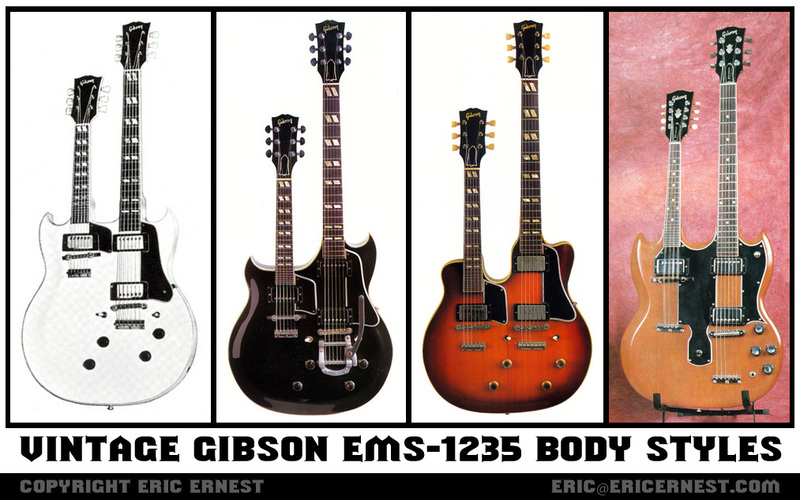 Here are the various body styles that Gibson used for the EMS series. 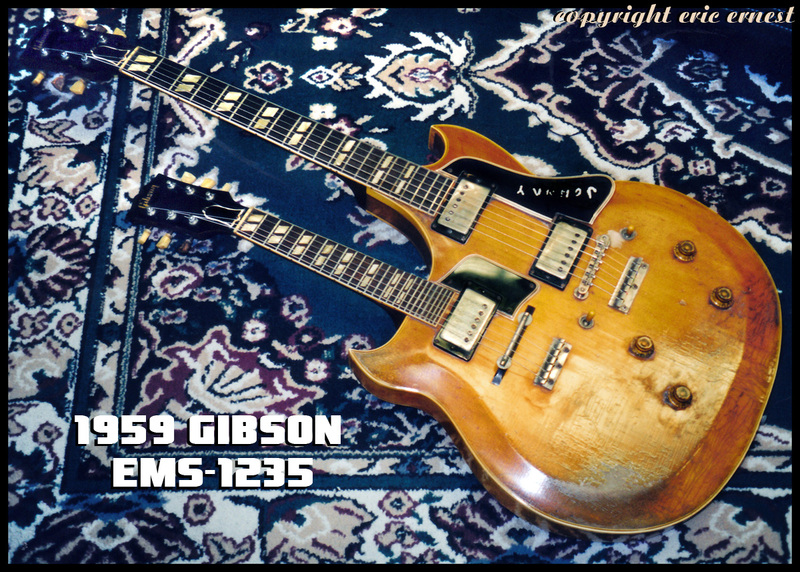 1958 Gibson EMS-1235. Sunburst is somewhat faded. 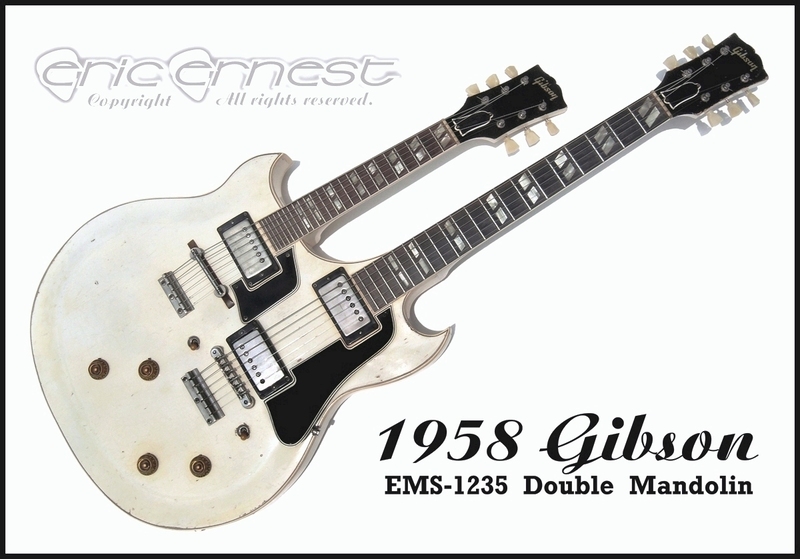 1958 Gibson EMS-1235. No serial number. 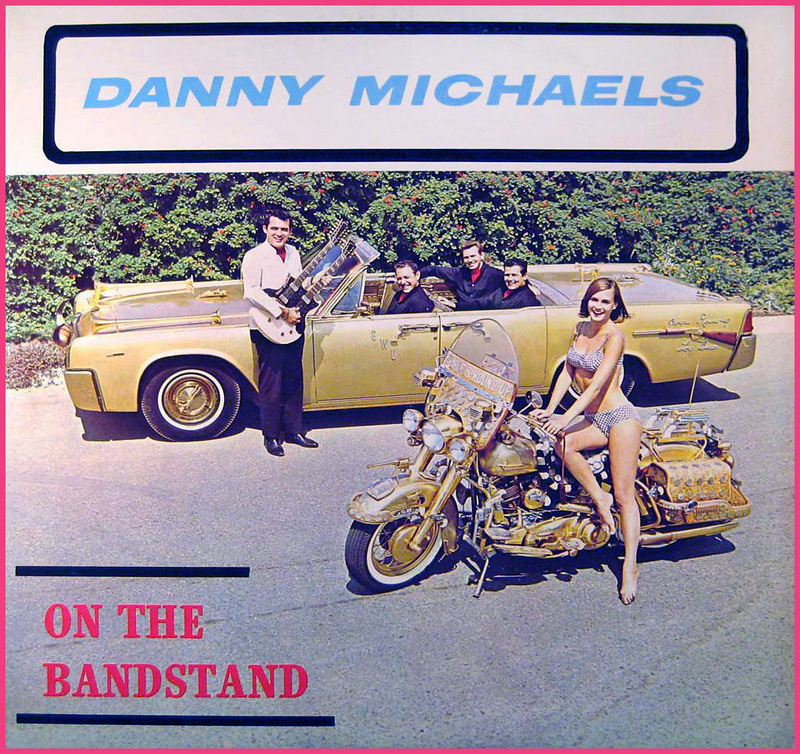 Johnny Echols of the band,"Love." 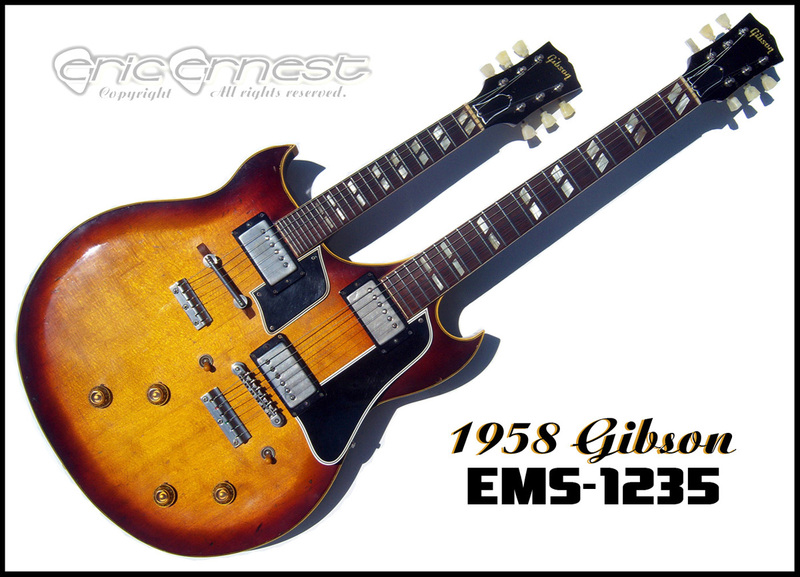 1959 Gibson EMS-1235. Very well loved, indeed! No case, the owner's wife burned it! 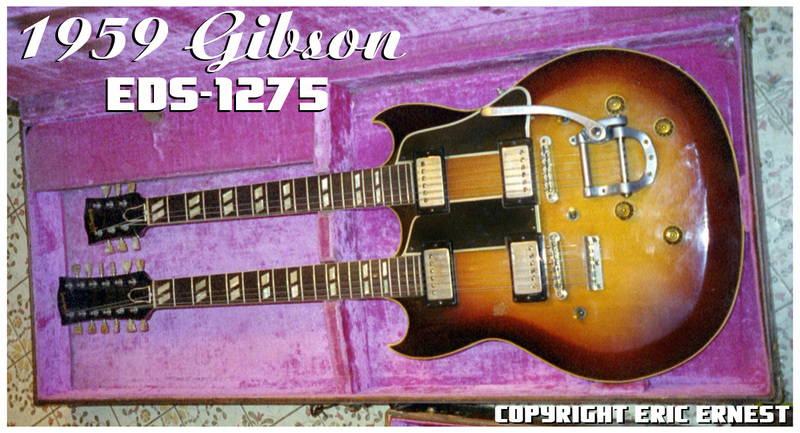 1959 Gibson EDS1275 double neck guitar. very rare L-5 cosmetic appointments. 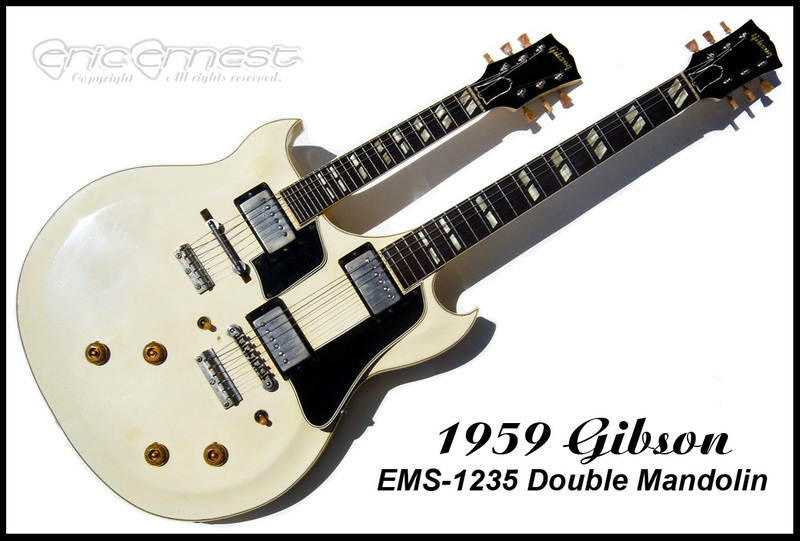 1961 Gibson EMS-1235. 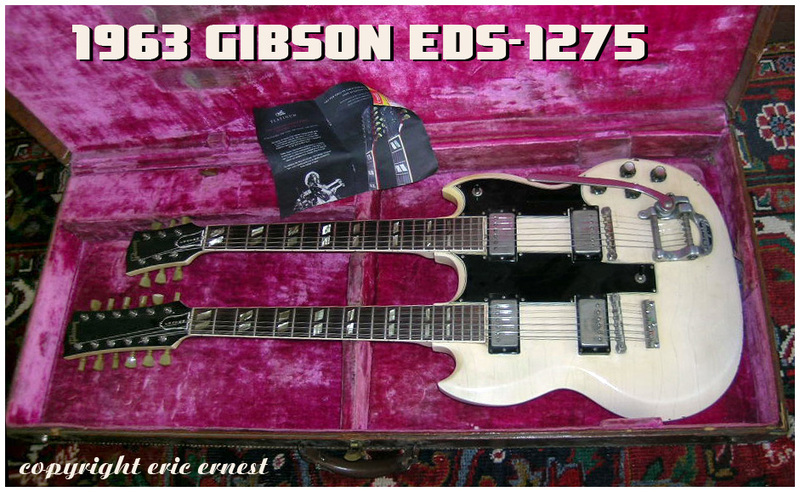 Added Bigsby...like many. 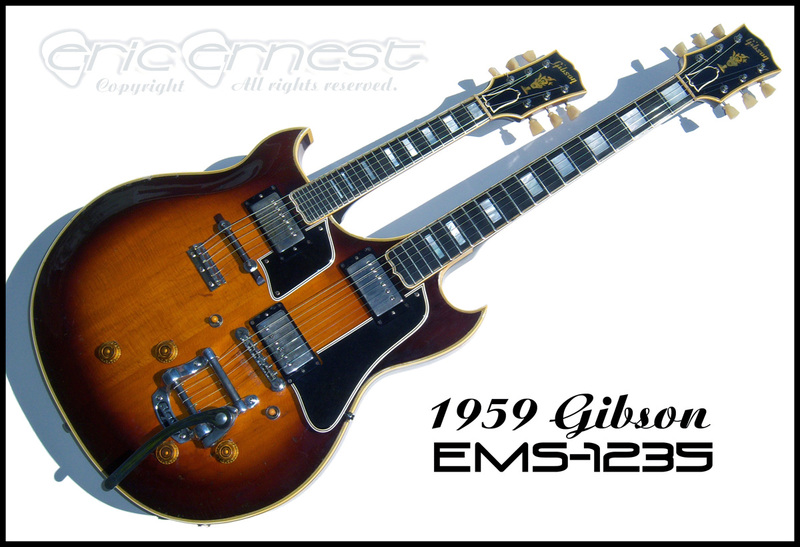 1961 Gibson EMS-1235. 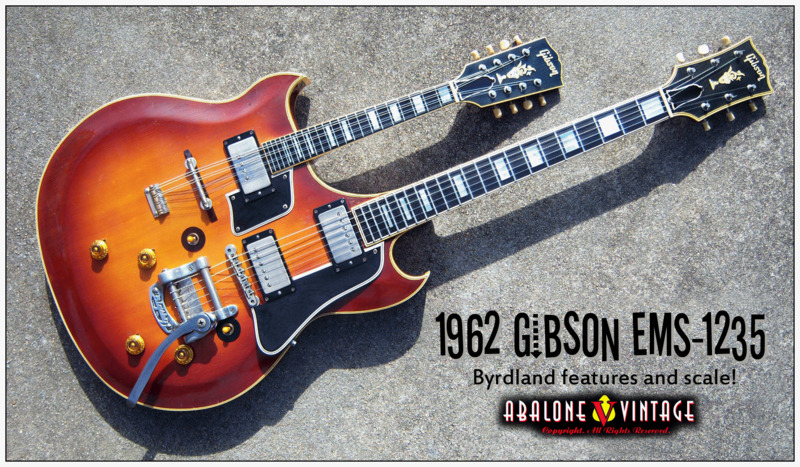 Byrdland cosmetics and SCALE. 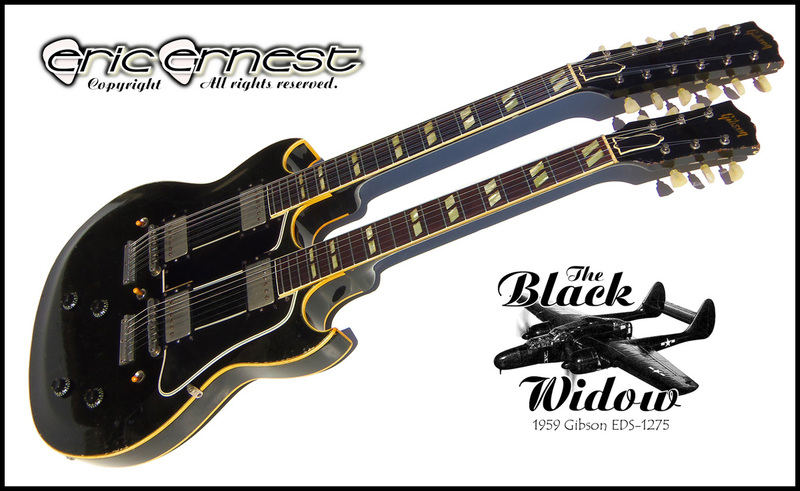 Custom one off and one-of-a-kind! 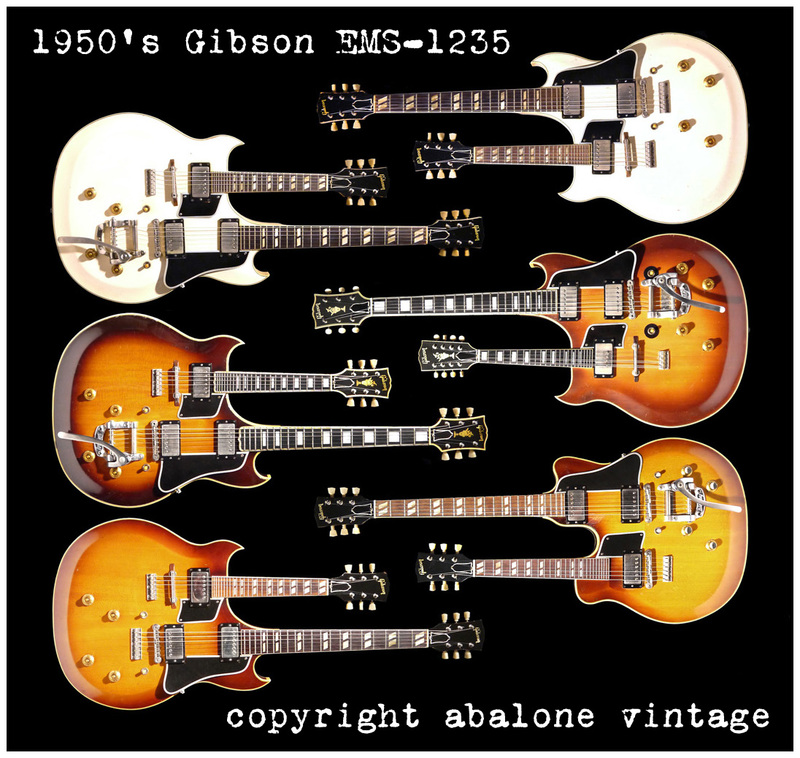 1961 Gibson EMS-1235. 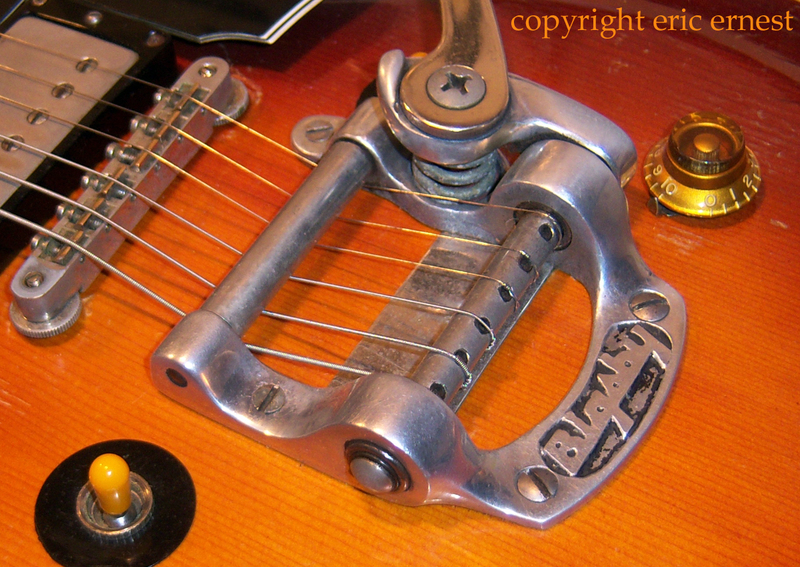 Bigsby removed, and added sparkle pickguard. 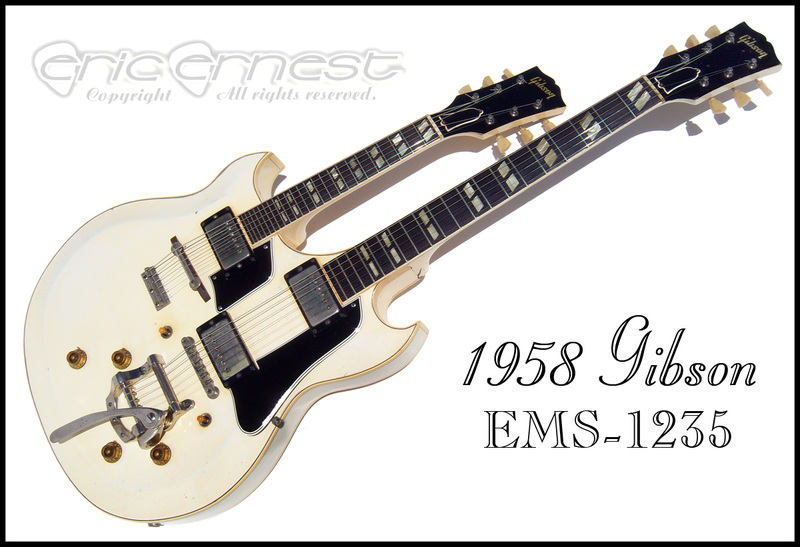 1961 Gibson EMS-1235. 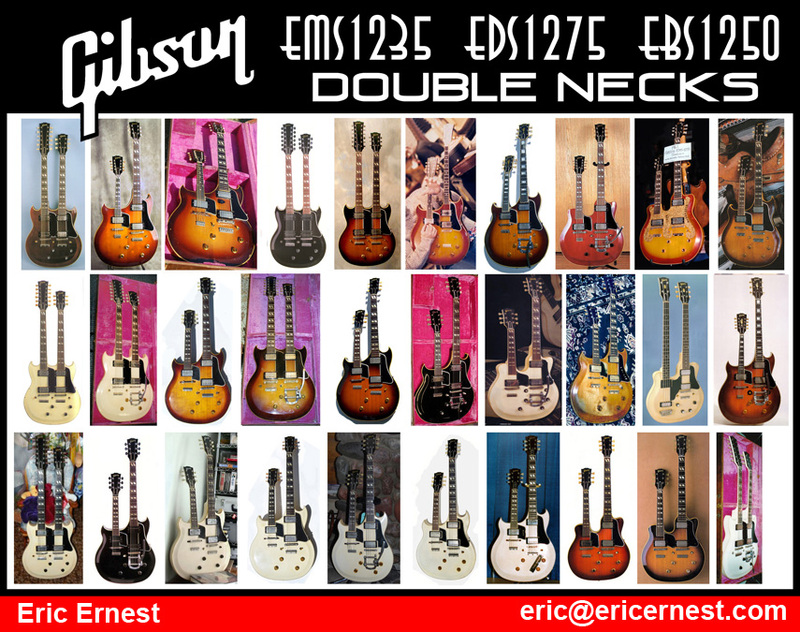 Added Bigsby...like many. 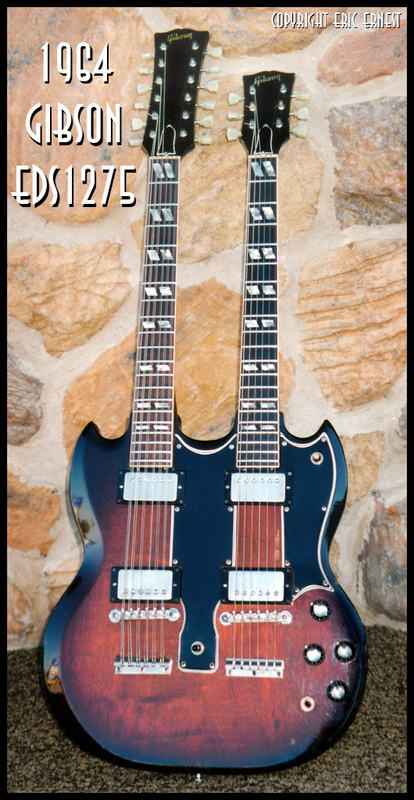 Style 3 body. 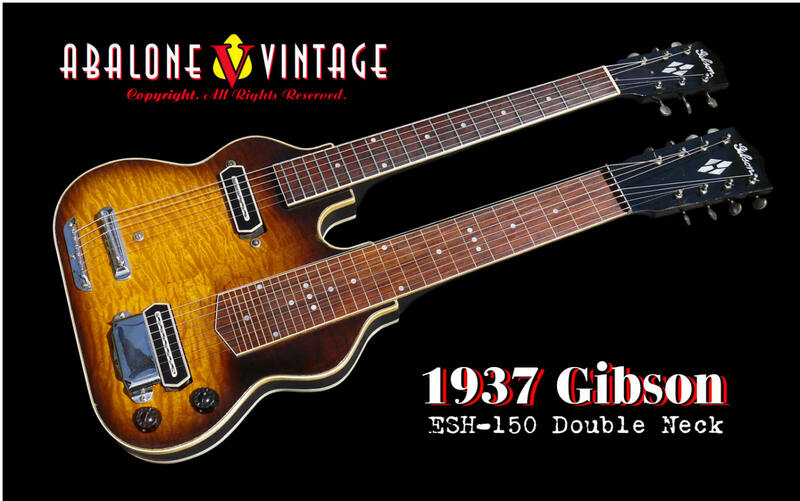 Spruce Top double neck guitars! 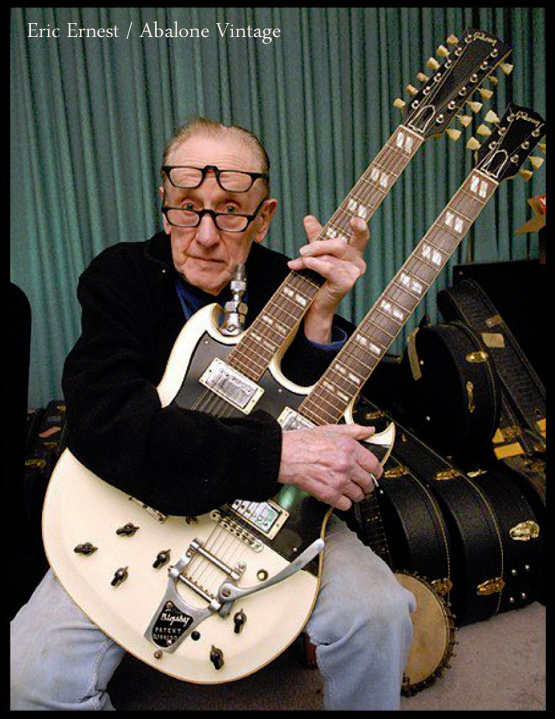 Les Paul with a 1950's Spruce Top EDS-1275 Double 12 Doubleneck! 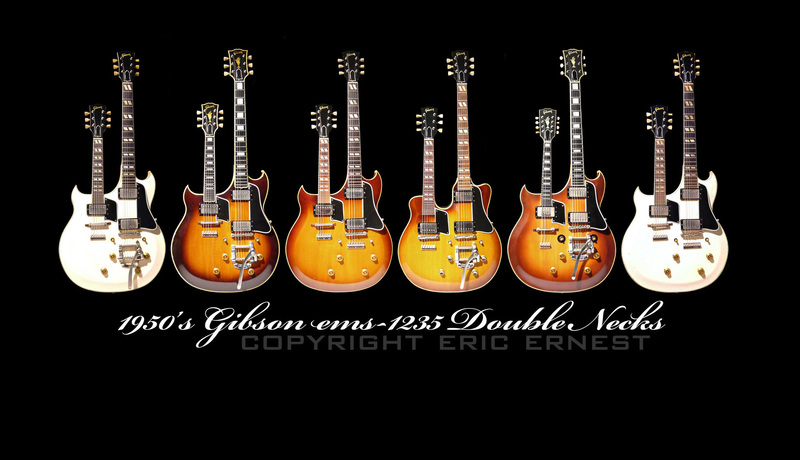 1950's Gibson EMS-1235 Double Neck guitar wallpaper. 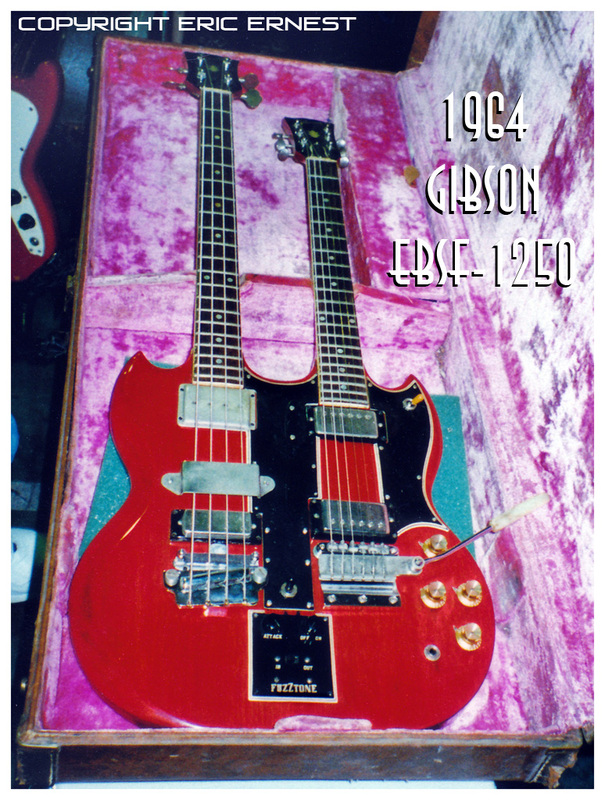 mahogany and stylistically were sister instruments to SG line of guitars. 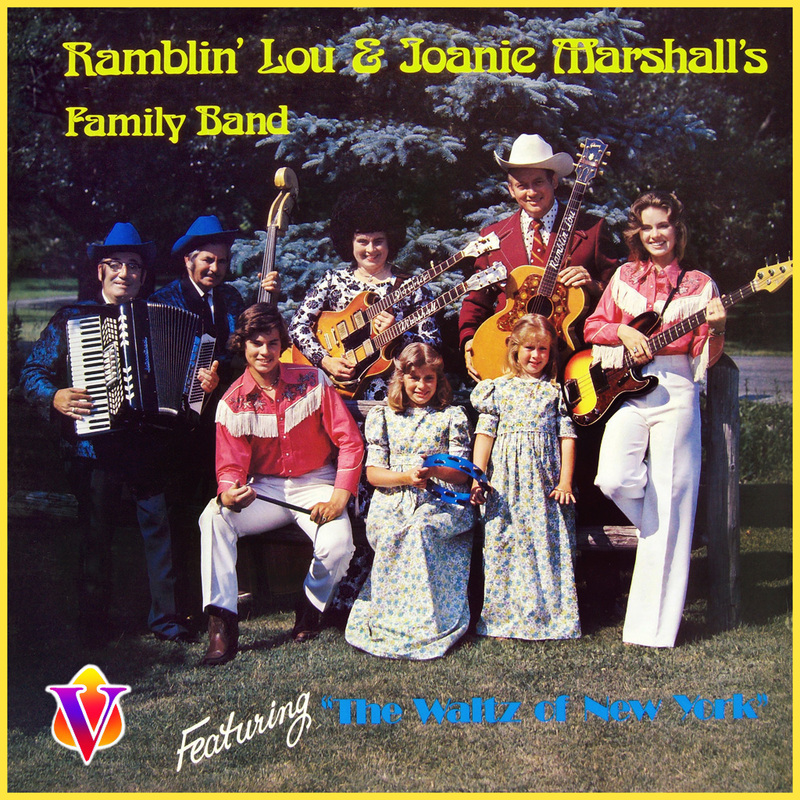 Again, the EMS (Double Mandolin) series has the most variants. 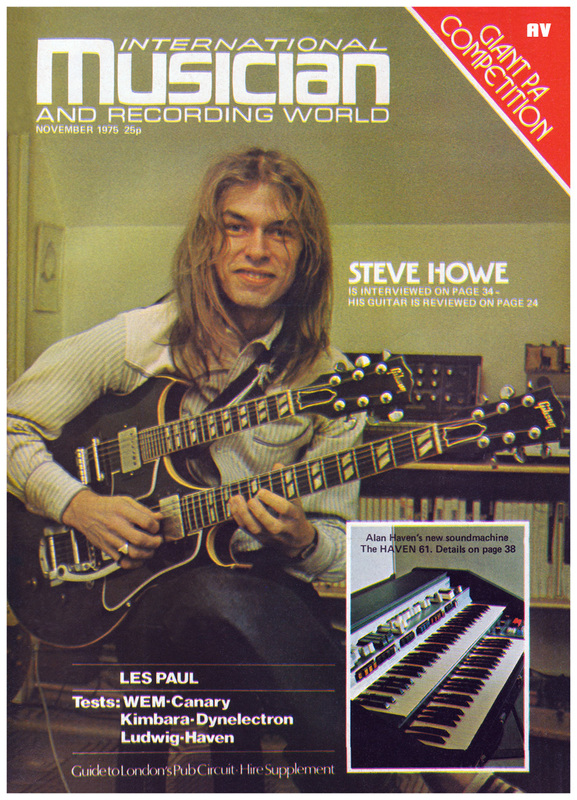 Colors: Sunburst, Black, White, Cherry, Pelham Blue, walnut and Natural. 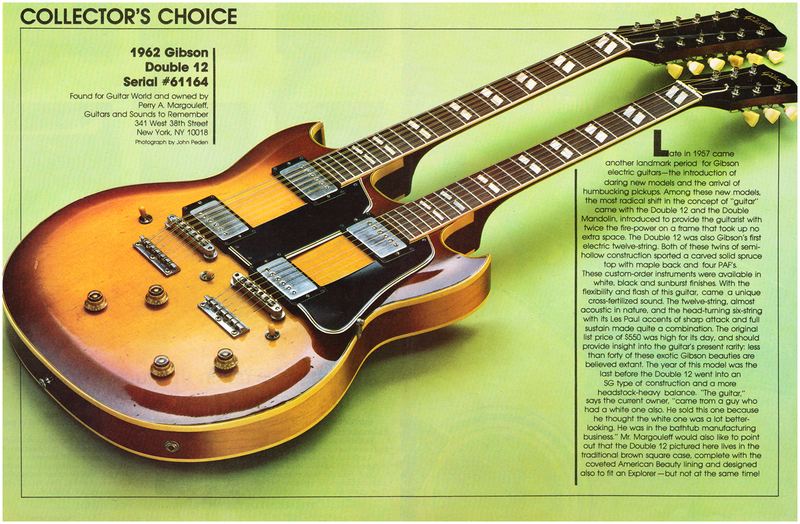 One of the first SG style! 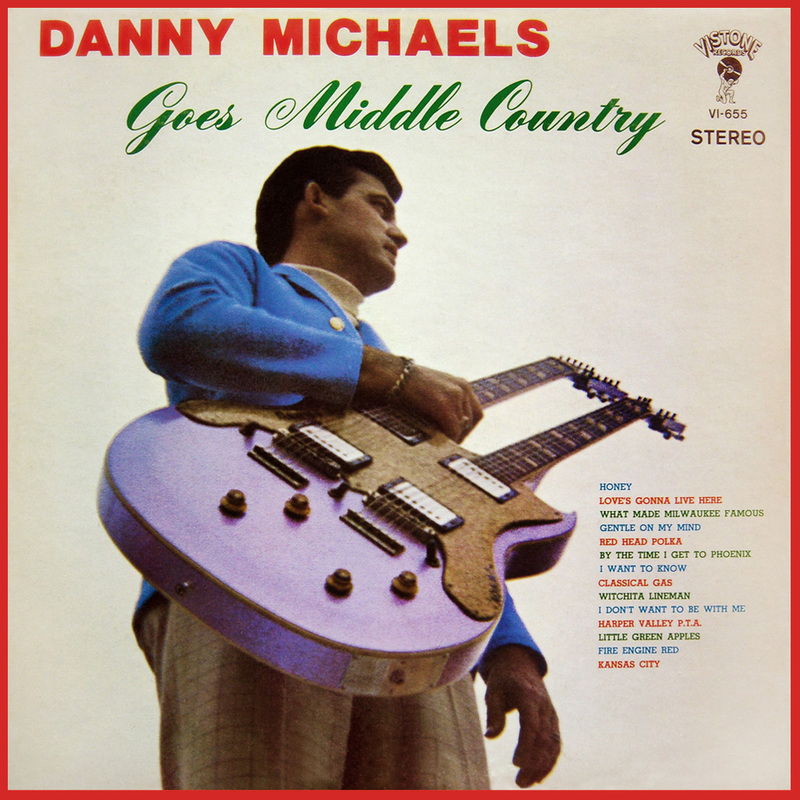 Formerly owned by Barbara Mandrell. Barbara Mandrell live in 1988. 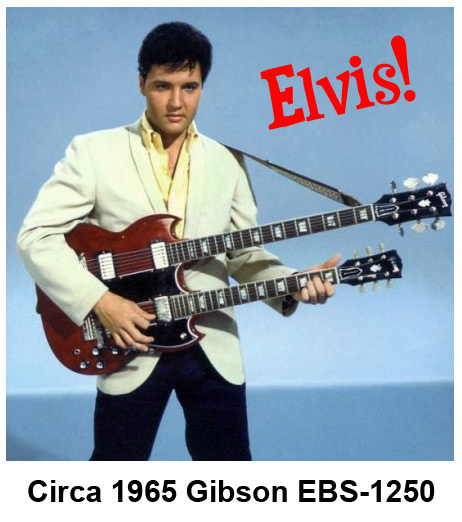 Elvis with a circa 1965 EBS-1250 with Bass 6 neck!!!!!! 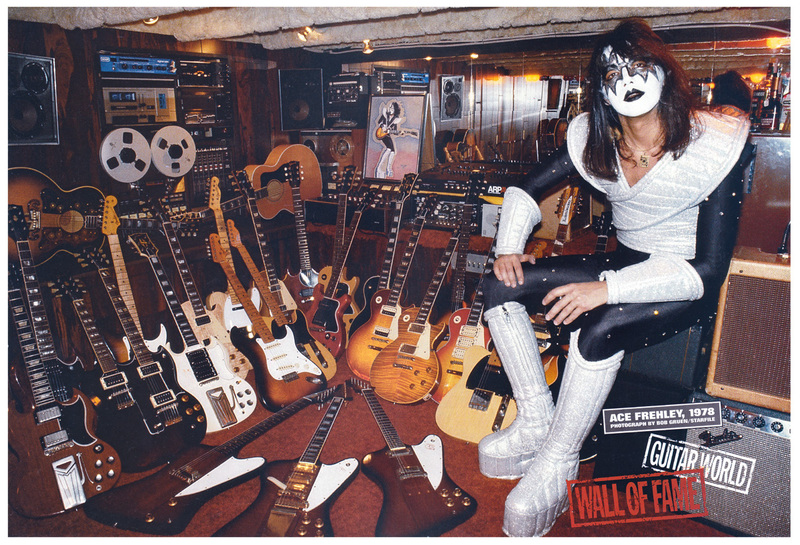 Ace Frehley of KISS with his guitar collection. Note black EMS-1235 on floor. 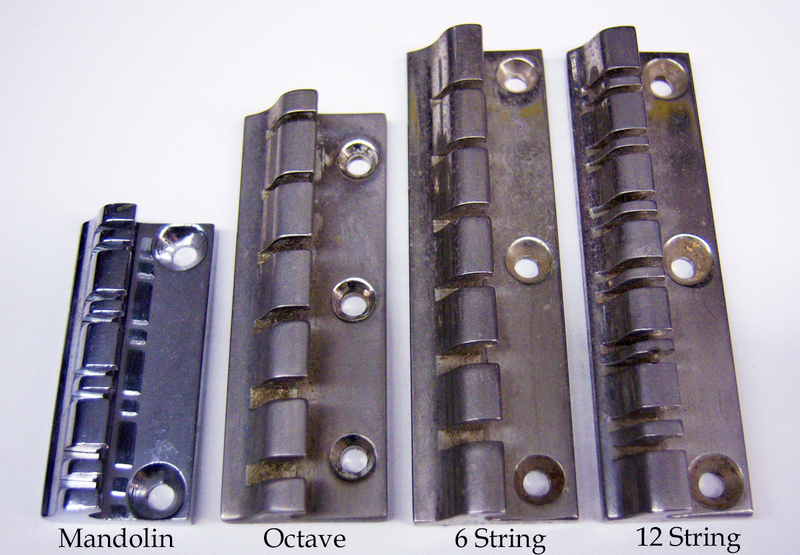 This a a shot of the various tail pieces used on the double necks. them to cover up the tail piece holes. Factory "cut down" B7 Bigsbys on the left four. Factory B5 Bigsby on right. split 50/50 between the two styles.